Human rights are essential to sustainable development. To ensure these rights for all people, we must safeguard dignity, equality, fairness, respect and independence, regardless of one’s identity. Access and opportunities empower individuals to be part of the solutions that will end poverty, ensure prosperity and achieve everlasting world peace. Gender equality and empowering women and girls are essential to achieving the 2030 Sustainable Development Agenda. Law and policy alone will not be sufficient; change will be driven by shifts in understanding, perception and mindset of individuals across the globe. It is the duty of all citizens—not any gender alone—to take extraordinary steps toward gender equality. By working with stakeholders from all sectors of society—business, government and civil society—citizens can combat the cultural norms and traditions that fortify gender inequality. Progressive in spirit and open-minded in attitude, young people are uniquely positioned to successfully lead this effort. From advocating for equity to educating citizens and stakeholders, young people can inspire action that challenges the status quo. 1. Organize 100 forums with policy makers to advocate for and educate about Global Goal #5: Gender Equality to close gaps in data and policy that perpetuate gender inequality. 2. Encourage individuals to challenge discrimination when they see it, whether in person or in the media, by using the hashtag #SeeSomethingSaySomething to reach 1,000,000 people. 3. Advocate for the inclusion of gender equality as a strategic priority for the organization’s culture in the 2019–2023 JCI Strategic Plan. 4. Train 5,000 young people to be champions for gender equality who educate other citizens on Global Goal #5: Gender Equality. 5. Empower 1,000 men to be the strongest advocates for gender equality by pledging to take action toward Global Goal #5: Gender Equality. 6. 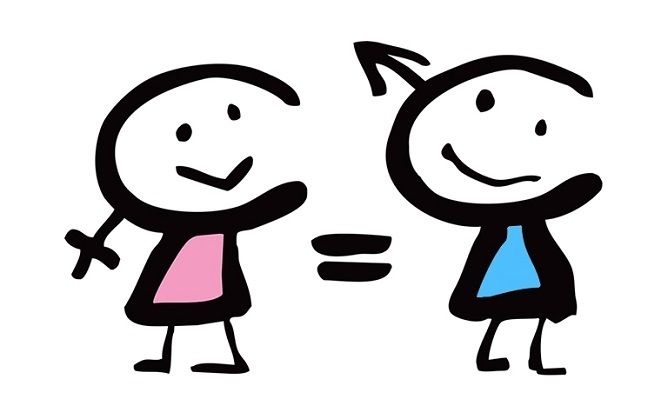 Reach 50,000 children under the age of 15 using the World’s Largest Lesson materials for Global Goal #5: Gender Equality to educate the next generation of young people on the values of gender equality. 7. Harness the power of events to facilitate the exchange of culture and identity, and sharing of best practices to ensure gender equality across all sectors. 8. Call on the international leaders within JCI and global stakeholders such as the United Nations and International Chamber of Commerce to create a standard for ensuring gender equality in business. 9. Challenge culture and traditions that discriminate against women by showcasing 500 individuals who break stereotypes and gender norms to advance gender equality. As young active citizens, we accept the responsibility to actively reduce inequalities and create gender equality in order to advance the 2030 Sustainable Development Agenda and we commit to take these actions by December 31, 2019.